The voice is a remarkable instrument that helps us articulate our deepest thoughts and emotions. This foundational module will awaken THE VOICE OF LIFE within you. This 11-week journey will empower you with a greater understanding of both the physical and spiritual application of the human voice, allowing you to discover newfound freedom in both personal and corporate settings. The indispensable basics of voice techniques will be imparted through an engaging combination of vocalization exercises, song applications and devotions. Vocal Production & Projection: Simple exercises to help DEVELOP your voice! i) Prior understanding of the fundamental workings of the voice. ii) Practical knowledge and practice with the efficient techniques of breathing and diaphragmatic muscle control. I can sing, so why are vocal lessons necessary? The voice is a very unique instrument, simply because YOU ARE THE INSTRUMENT! Understanding how your voice works for you will help you discover the fullest potential of this God-given gift. 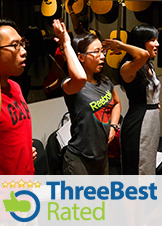 This module touches on the basic concepts of breathing, control of diaphragmatic muscles and resonance, all essential practical knowledge which will set your foundation right and enhance your singing voice. In fact, these are fundamental concepts equally applicable & necessary for all, whether you sing only in your own personal time, or serve on the platform ministries. I can already sing in my personal time. How can this course truly help me improve for platform ministries? The Believer Voice Program works on developing the voice and instills an overall sense of musicianship. A good grounding in vocal techniques, diction, rhythm orientation, harmony, pitching, working with instruments, and interpretation, helps develop that sense of confidence and wholesomeness in your singing, setting your voice free as you praise God. Are there any limitations if I have a health condition? There may be limitations, depending on the nature of your health problem. We have had some students with various health conditions attend our lessons, of which vocal training actually improved the state of health and mind for them. This is largely due to the emphasis on breathing the natural way, as well as the relaxing mode of the activity itself. As singing is physical, and with its performance largely dependent on one's physical state, students are encouraged and advised to take good care of their vocal health. This is a 11-week intensive module. What does it cover? Is it sufficient? The Primer module provides an all-round education for the singer in the worship setting. This includes the study of basic vocal technique, diction, rhythm orientation, harmony, pitching, working with instruments, and the interpretation of songs. Development of your singing skills comes with consistent practice while adopting the methods acquired in the Primer program. You may then choose to take your singing higher by continuing with the higher modules. How long will it take me to sing well? It varies from person to person. We need to consider the individual’s entry level (i.e. the number of years of singing actively), and the degree of discipline. Results have shown that students who were diligent and consistent with their practice often reap the best results. In this intensive program, we will guide you towards achieving your maximum results within a short time. I sing off-pitch and sad to say, I am tone deaf. How can this program help me? Sadly, "tone deafness" has become a stigmatizing label and has locked many into a fear of releasing their voices. In fact, genuinely "tone deaf" cases are rare. Most, who claim they are tone deaf, really aren't. Often, not being able to pitch has to do with not hearing a pitch carefully before physically singing it. Some experience difficulty in pitching due to the strain of notes on the extreme ranges. The Believer Voice Program adopts an approach which helps students with these pitching issues. I play a musical instrument. Why do I need to sing?